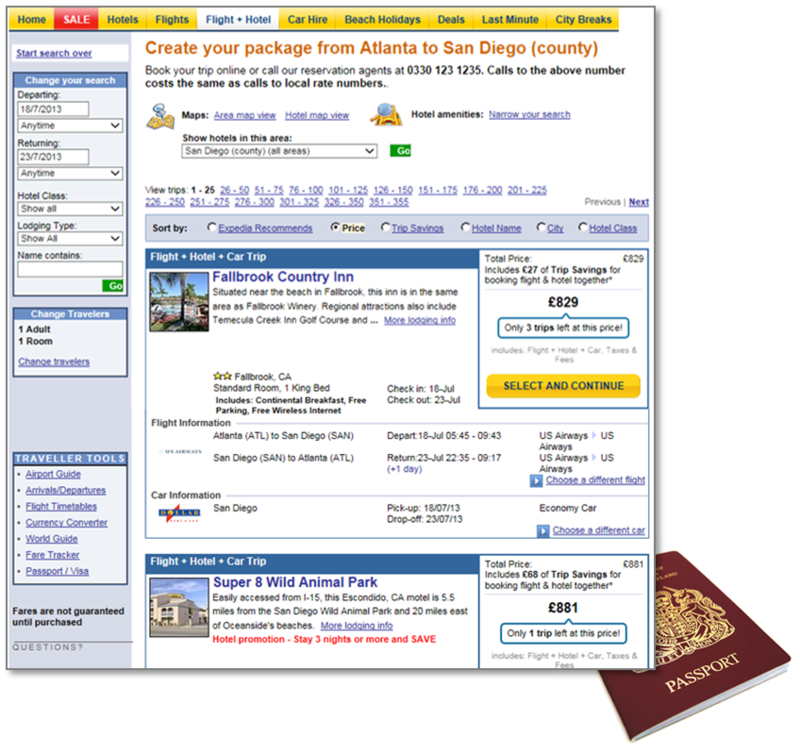 Expedia moved online travel from bulletin board listings to precise, personalised, options that could be booked with a couple of clicks. Ad hoc services in communities need to become just as convenient. Searchable listings: the buyer can browse postings by potential sellers and contact those she likes. Broadcast messages: a buyer enters his requirements which are then disseminated to potential sellers. There is a technological world beyond these models. But it requires scale and certainty. 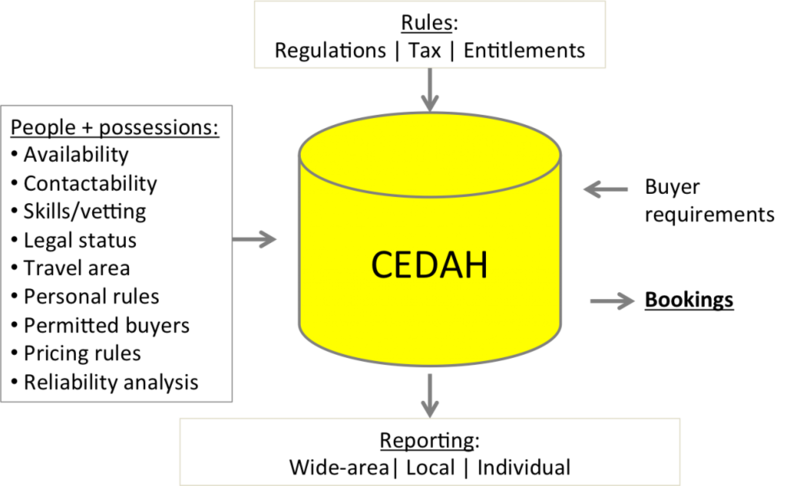 Think of it as CEDAH, a centralized database of available hours. Anyone can list the hours they, or their possessions, are available and on what terms. The system enforces regulation and individual controls while tracking reliability. Buyers’ requirements can then be met immediately. Reporting on supply/demand/pricing can be for any combination of sectors at any level: area-wide to hyper-local. To grasp what’s different about this kind of technology, look at how online markets have progressively evolved in the travel sector. It started with sites like airlinecontactinformation.com. Enter a destination and it would give indicative pricing and contact data for airlines going that way. Later competitors offered to email them all with a user’s requirement. This was useful, and preferable to trekking to a travel agent for the same data. But booking remained time-consuming. Then there was Expedia, launched by global corporates. Tell it you want next weekend in the Italian Lakes and it instantly assembles multiple packages of flights, rooms and hire cars. Everything you see is genuinely available, fully priced and can be secured with a couple of clicks. Expedia can do this because it stores inventory: actual times and conditions of availability. Its clout allows enforcement of what is offered. The leap in usefulness is not just in the slashing of admin. costs and opening of the market. 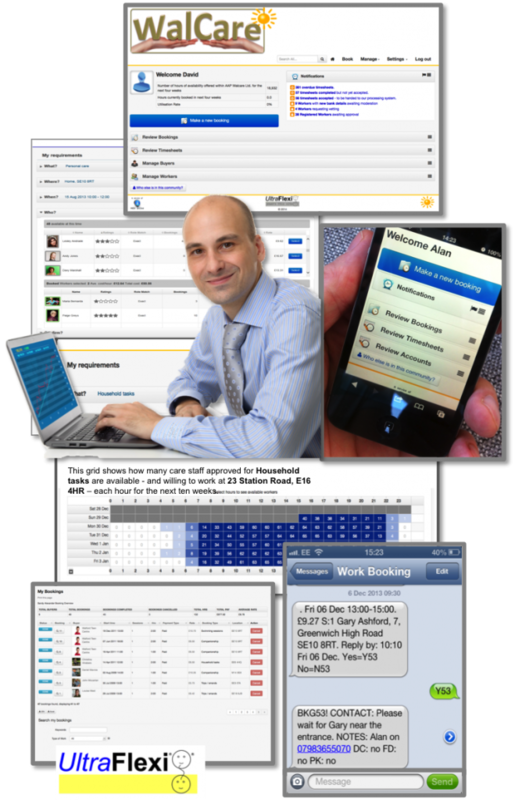 Expedia produces granular data which the industry had never had before. That has shaped vacationing in ways that were previously impossible. Irregular work markets are many times more complex than the purchase of travel options from large suppliers. There is a long list of controls, preferences, pricing rules and parameters that impact each potential seller for a booking. But an inventory store is viable. The British government has funded development of the core technology required since 2005. The resulting technology is called UltraFlexi. It is specifically configured for the needs of UK Employment law. Transacting: How would these transactions work? → More. Advanced transactions: when such complex markets become this precise and robust, further possibilities may emerge. → More. The technological challenge: making these markets truly responsive requires a system that manage many factors. → More.